In developing countries around the world, women and young girls are being oppressed and abused in ways those of us in developed nations can hardly imagine. It is commonplace for young girls of 12 years old to be kidnapped and sold to brothels. Babies don't receive medical treatment or are simply killed because they are female. Women are tortured, stoned to death or doused with acid to uphold their family's honor. They suffer from debilitating injuries from botched childbirth, and then are isolated from the rest of the village and left for dead. They are raped, beaten and mutilated because they are women. Nicholas D. Kristof and Sheryl WuDunn have traveled the world, seeing firsthand the atrocities that women endure in developing countries across Africa, Asia and the Middle East. 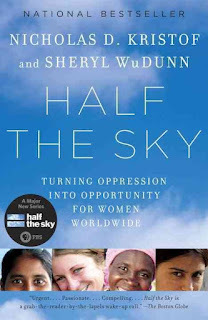 Each chapter of Half the Sky: Turning Oppression into Opportunity for Women Worldwide delves into one area of abuse or oppression that is a daily reality for women in these countries. But they don't just rant about the problem. Kristof and WuDunn dig deeper to the root of the problem. They look at how cultural beliefs, among both men and women, allow these abuses to continue. They look at how lack of education of girls and women is a major contributing factor. But they also show how educating women can not only stop these abuses, but also bring prosperity and economic growth to entire countries. After all, half of the population in these countries currently isn't contributing to the economy because they are not allowed to be educated or employed. The authors look at programs and solutions that have worked in some of these areas around the world, and they look at why other programs have failed. They present a perfect balance of problems and solutions, showing how some women in these countries have overcome the cultural norm and escaped from oppression. 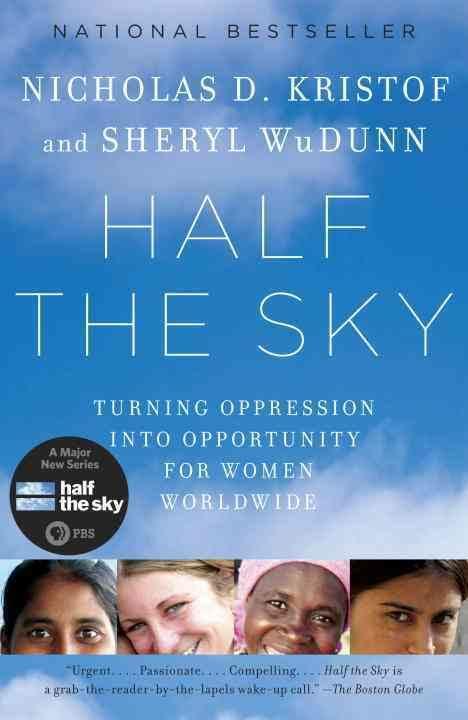 Half the Sky: Turning Oppression into Opportunity for Women Worldwide is an excellent report on the oppression of women and the solutions to overcome it. I highly recommend it and look forward to discussing it at my book club meeting in February. This review was written based on a copy of Half the Sky that I borrowed from the library.